Requirements > Auctions Factory (at least version 1.0.2) with option "Allow users to import from CSV" set to yes. A new button will appear into "My Auctions" - "Import from CSV". By pressing the button you are taken to the import area. 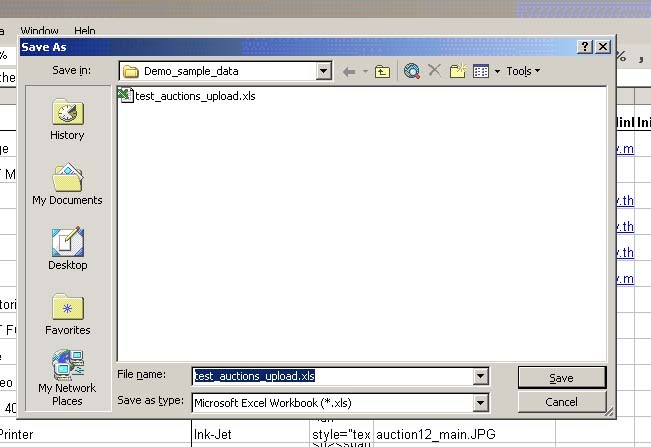 There you can specify a CSV file and a ZIP containing the images for the Auctions in the CSV. The zip MUST not contain Folders or pictures in folders. Zip all images into one file. 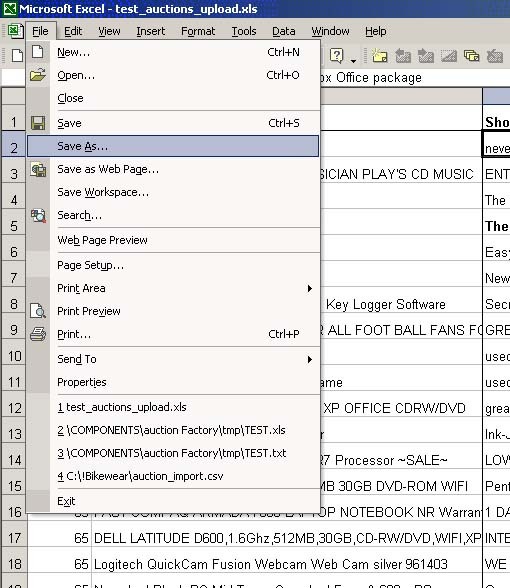 The CSV must be TAB delimited with NO HEADER ROW! Description The Long description (can contain HTML) This is a highly modified Porsche Boxster S. As you can tell, I have had a lot of extras added to the body and the engine. The body was modified by adding, a TechArt GT3 front bumper, rear diffusers, a wing on the lid of the trunk, sport spring suspensions, K&N air filters, fuel mapping for the new CPU and the rest of the Power Kits from Gemballa. Go to Save as ..
Revised "Auction Factory" version 1.6.9.